I trust you noticed the "e" in dyeing. It will make sense later. I usually pride myself on not sweating the small stuff, but English is an exception. When people find out that I'm an English teacher, they often tell me they should watch what they say. Not true. I listen to what they are saying not how it's said. 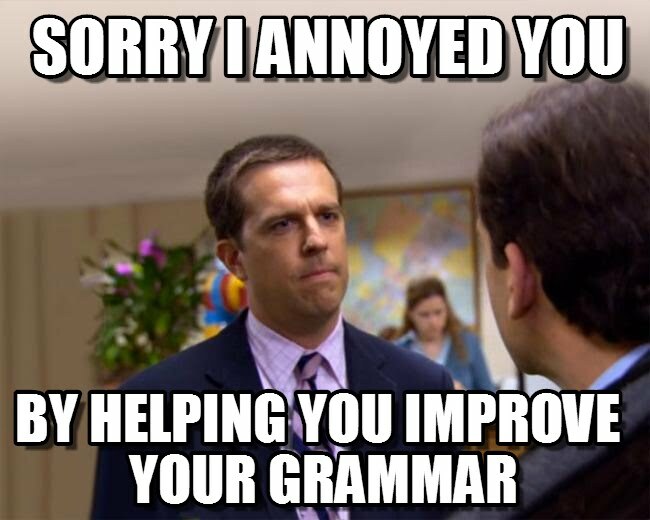 Besides, correcting people's speech would be rude. I'm not as tolerant with writing. I see everything with a proofreader's eye. I am the one who penned in an "h" when the supermarket was selling "fresh erbs." I wince at the constant public misuse of apostrophes and chuckle with catty glee when I find a little error in the writing of anyone really smart. If I could choose a Facebook upgrade, it would be the option of editing other people's posts. My changes wouldn't be visible to anyone else, but they would make me feel better. 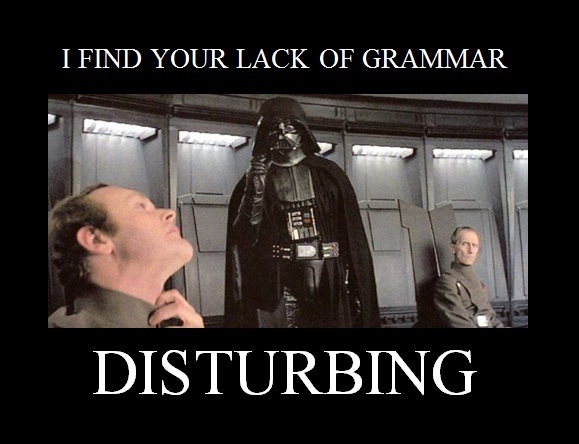 My pet peeve is mistakes in the public writing of educators. Sloppy grammar and spelling makes us all look bad. And there is a lot of it. I don't know how many times I've really wanted to offer my editing services to counselors or administrators, but I've never been gutsy enough to do it. Not that I don't make mistakes. My skills fall apart at the white board, so students often get the chance to correct my errors. The ones that I miss haunt me. Years ago, I wrote an e-mail to the English department that referred to the "roll I would play" instead of the "role I would play." I didn't catch it until after I hit send. No one said anything, but I'm still embarrassed. 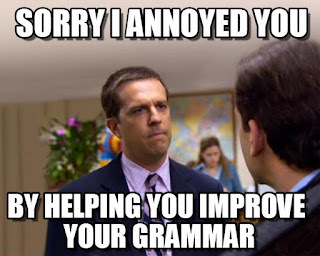 I ran into another small error of mine this week, but not related to grammar. There are two kinds of dye for fabric. 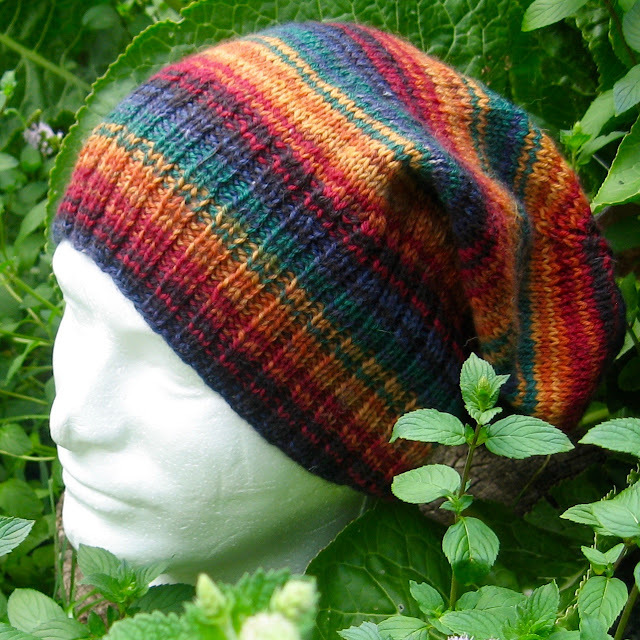 Plant dyes are for cotton, linen, and rayon. People use that to tie dye cotton T-shirts. 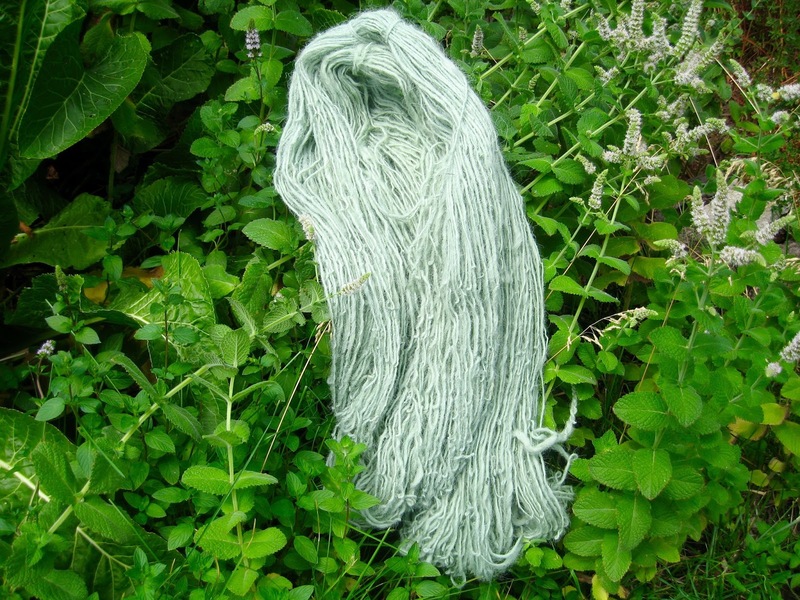 For wool or silk, a protein dye is needed. I've known this for decades, so when I tried to use a dye kit that I bought some time in the distant past, I assumed it was protein dye. The procedures in the instructions were odd. Salt was added instead of vinegar. Everything was done with room temperature water. But the dye bath was the royal blue I wanted, so I left my yarn in to soak for an hour and diligently stirred it every ten minutes. During that stirring, I knew something was wrong. 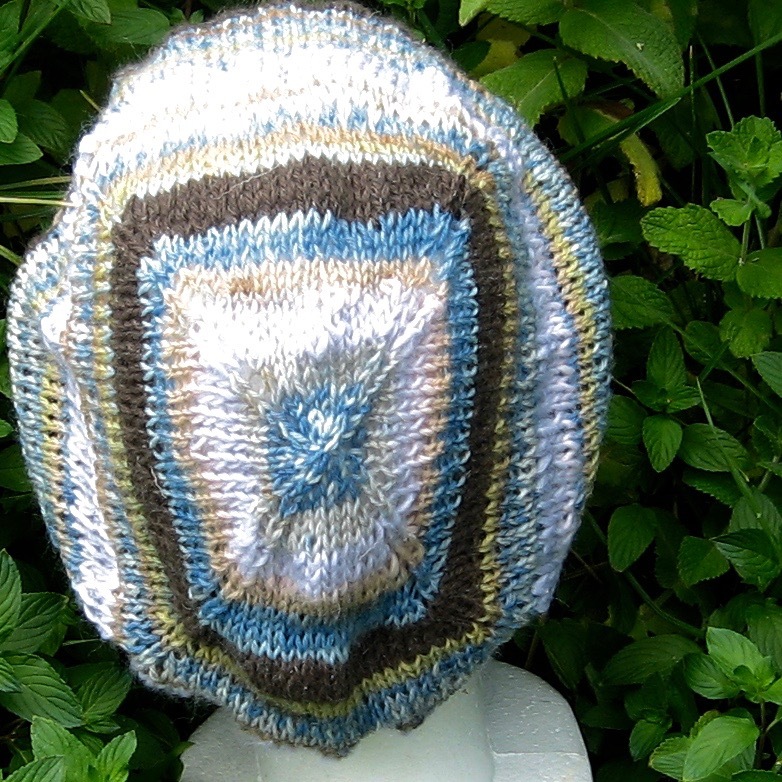 The yarn just didn't seem to absorb the color. 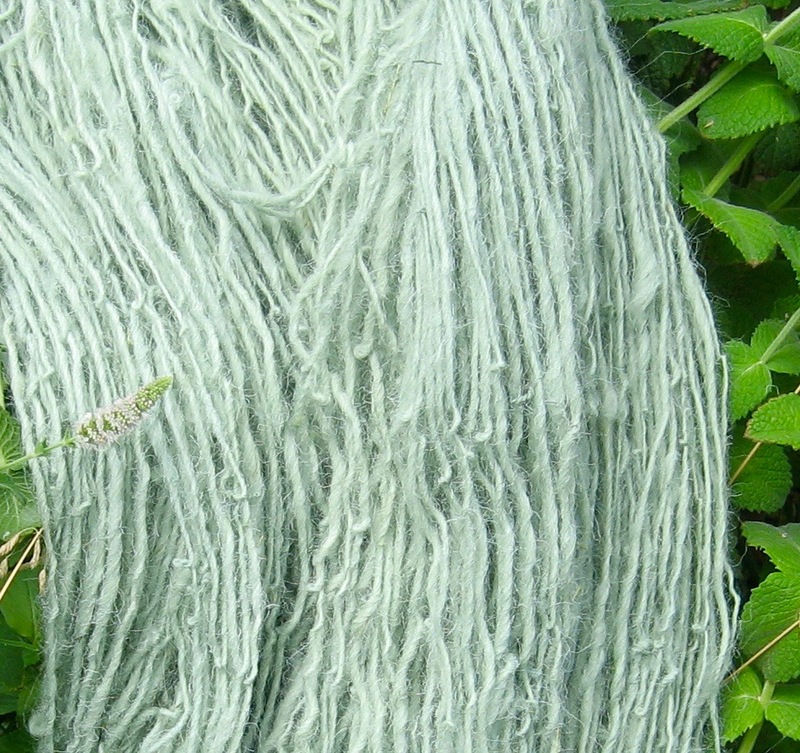 The water was royal blue, but my yarn ended up mint green. Somehow I've got a kit of dye in three primary colors and black, but it's all plant dye. I'm sure I'll find a use for my green yarn. It's pretty enough to keep instead of dyeing blue on top of it. And maybe I'll have a tie-die party some time to use up all that dye powder. In the meantime, I need to wash and spin some more white wool, then buy some actual protein dye in a nice shade of blue. 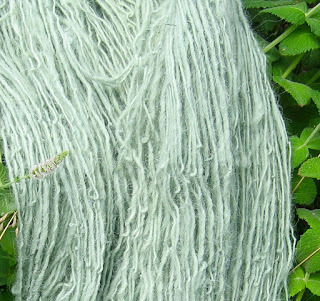 Why is mint green not the color of the mint under my yarn? 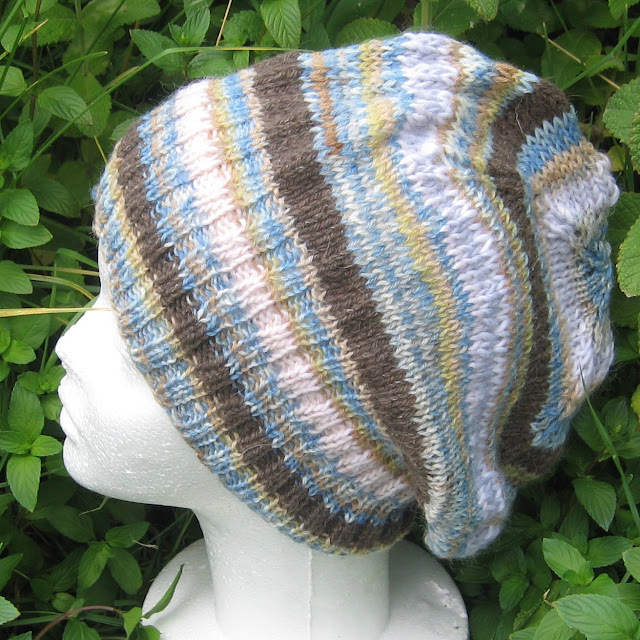 This week I also knit a couple of hats. I don't understand slouchy beanies. 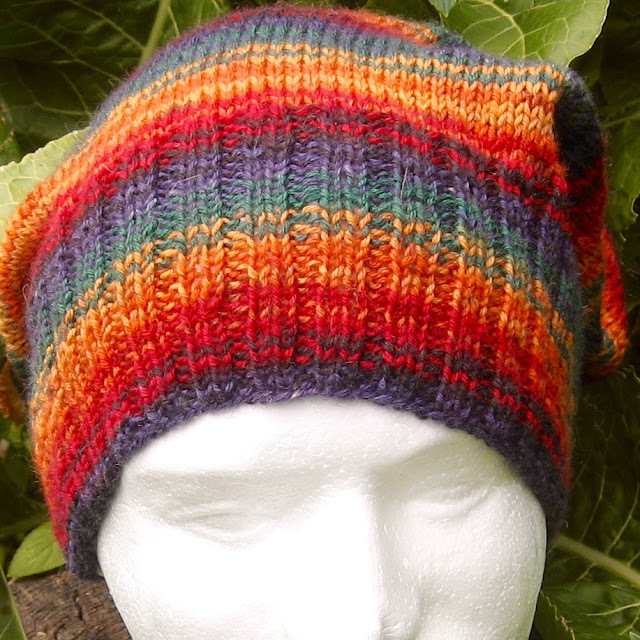 I probably wouldn't wear one (maybe I'm too old), but they were fun to knit and are available in my shop.